Designed for use on 1963-1966 GMC/Chevy pickups. NOTE: This harness supports use of single or dual dash turn signal indicator. 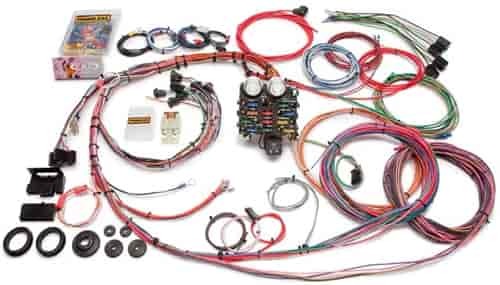 Painless GM Truck Chassis Harnesses make re-wiring your Chevy/GMC truck simple. By adding a factory-style bulkhead connector and additional GM connectors Painless makes a variety of custom-fit harnesses for popular GM/Chevy pickups. Nothing could make re-wiring your 2x4 or 4x4 truck any easier. These quality harnesses include a pre-terminated fuse block and high temp, color-coded wiring. Does Painless Performance Products 10112 fit your vehicle?